Atlanta based Jahnai hits hard with "Yu Kno", produced by StunnahSezBeatz. Jahnai is an up and coming artist from the east side of Atlanta, Georgia. The rapper credits being born and raised in the New York” of the South for his smooth stylings. His Atlanta heritage influences all his raps and hooks. 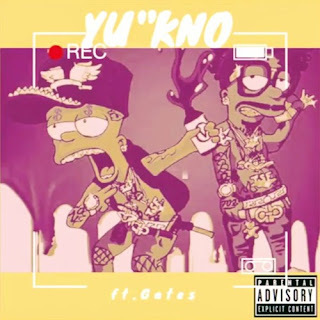 With “Yu Kno” Jahnai knew that he needed an edge to his hooks and has brought in New York born White Gates, to compliment his slow raps with a NYC edge. For now, the two rappers both call Atlanta their home and have big plans for their future. These fresh talents believe that their collaboration was lightning in a bottle and hope to continue to work together on tracks in the future. Between Jahnai’s heartfelt raps and Gates'; rhythmic flow, the song perfectly conveys the direction the two are headed in.